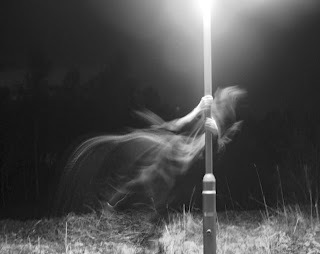 The purpose of this blog post is to give you all information about phasmophobia (the fear of ghosts). The information I’ve gathered about phasmophobia is that those who suffer from it tend to show the following symptoms: shaking, heart palpitations, sweating, feeling sick, anxiety, panic, and shortness of breath. To treat this phobia, anti-anxiety medication can be administered to someone. Psychotherapy, behavior therapy, and exposure therapy can also be used as treatments. Some psychologists say that this phobia arises from magical thinking (beliefs that focus on irrational correlations between events). Some assumptions about people that are afraid of ghosts are that they are crazy or cowardly. The concept of this phobia can be explained by the preparedness theory. Human beings possess a 'preparedness' to fear certain stimuli (in this case it is ghosts). My interpretation is that some people grow up to fear things they cannot explain; some people just don’t like horror. I believe in ghosts, but I do not fear them.